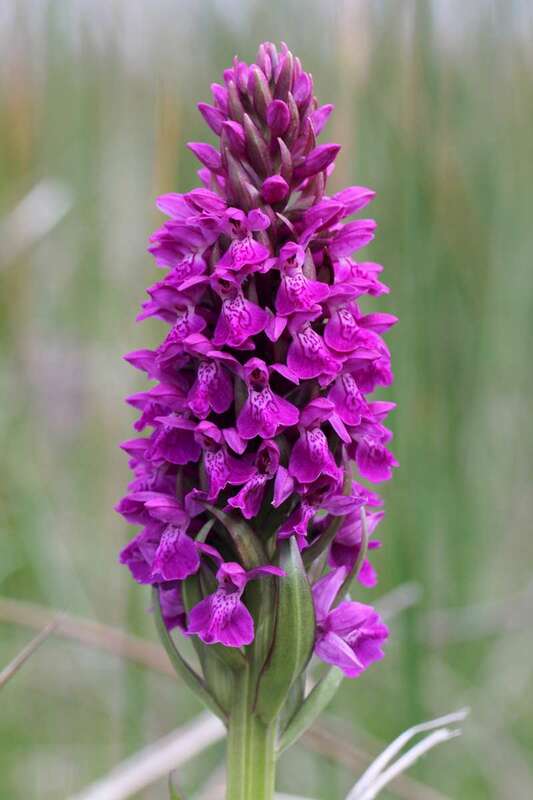 The following is Ireland's jewel in the crown in which to look for orchids - but there are myriad other locations to explore, and orchids often crop up where you least expect them. For more suggestions, take a moment to visit the National Parks & Wildlife Service website, and explore the reserves near you. The Burren represents one of Europe's most magnificent examples of limestone pavement, and features a unique flora that includes many orchid species - of particular interest being Dense-flowered and Irish Marsh Orchids, though no fewer than 23 of the 30 species of orchid recorded in Ireland have been seen within the extensive boundaries of the Burren as a whole. It is a botanical playground par excellence.